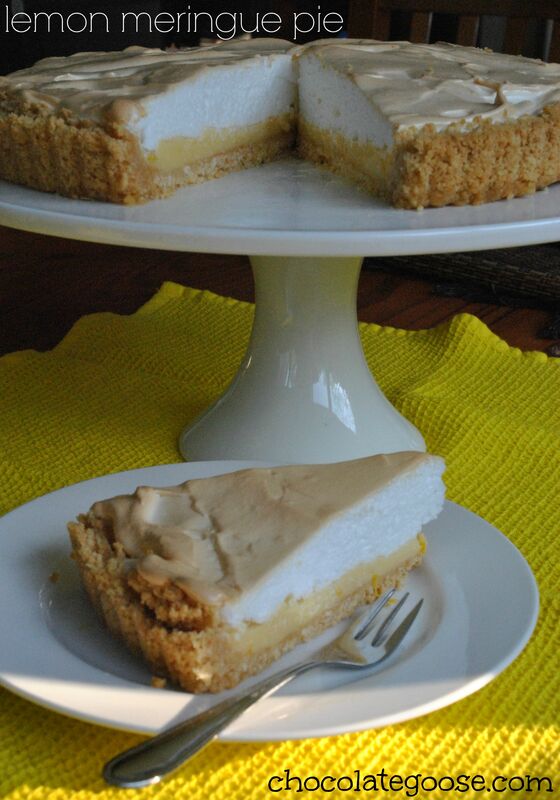 To anyone else I imagine that Father’s Day and Lemon Meringue Pie don’t have much in common, unless your Father is like mine and would eat Lemon Meringue Pie every day of the week if he could. This coming Sunday is Father’s Day in New Zealand; the first Sunday in September so I’m sharing this recipe with you in honour of my Dad. .Lemon Meringue Pie was always one of my favourite things to make as a child as it is super easy (well my version anyway) and you always have an appreciative audience. While still living at home, I remember always having to make two – literally. One for the family and one for my Dad. I have a photo of him somewhere in one of my many albums, sitting with his lemon meringue pie and a spoon ready to do his best. I haven’t seen my Dad in 5 years now. It’s awful living so far away, but these things happen when you move half way round the world and as a twenty-something, it was great moving out of home, finding independence, getting married and moving away, but it’s different when you have your own family and you want your children to have a relationship with your parents. Anyway, Dad, I love you. I miss you. If you were here I’d make you the biggest pie I could. But right now know that I’m thinking about you and remembering how much you love this pie…almost as much as you love me…almost :). This list of ingredients makes a large pie. If you’re wanting a smaller one, halve the filling ingredients. I’ve tried making the cornflour lemon meringue without the condensed milk, but my family isn’t a fan. Preheat your oven to 180°C (or 160° fan-forced) and grease/spray a flan dish with a removable base (my preference). Process the biscuits in a food processor until they are a fine crumb (or seal them in a plastic jiffy bag, removing all air, and bash them with a rolling pin until you have small crumbs). Add the melted butter. Combine well and push into the base and sides of a pie dish to form the crust. Allow to set in the fridge for a half an hour. Beat the condensed milk, lemon juice, 6 egg yolks and the lemon rind together and pour into the set pie crust. In a separate bowl, whisk the egg whites until thick and frothy. Slowly pour in the castor sugar while continuing to whisk and watch the mixture become shiny and smooth. You want it to be between the soft and stiff peak stage. Spread the egg white meringue on top of the pie, taking care to cover the entire top right to the edges. Meringue tends to shrink in the oven so you don’t want it pulling away from the sides. Bake for 20 – 25 minutes. The meringue should be just coloured and cooked through. That looks great. I really like the image of your dad with the spoon and his own pie. He must really like it. 🙂 Thanks for sharing!